Sub Zero, The brand that pioneered built-in refrigeration now gives you more aesthetic and functional choices than ever. Sleek clean designs, exceptional materials and that unmistakable louvred grille. Sub Zero built-in units come in many configurations and a wide variety of sizes but they all make a statement. 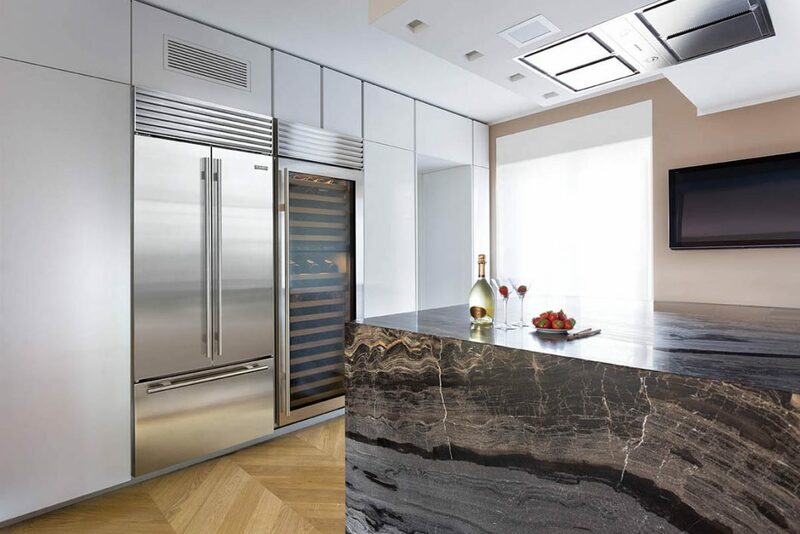 Whether you choose our trademark stainless steel doors or custom panels to match surrounding cabinetry, Sub-Zero’s Built-in models are perfectly at home in traditional or contemporary designs. Optional stainless steel panels are available for each model, to create a freestanding look. 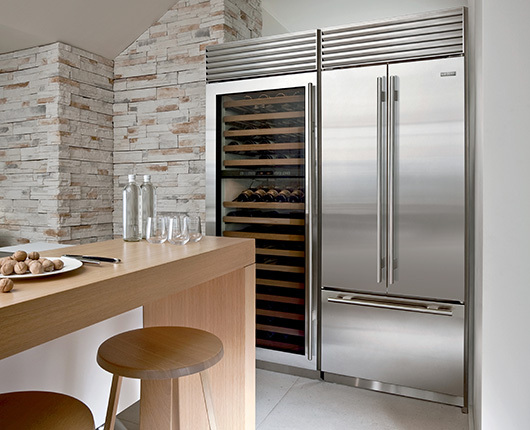 The 914mm Sub-Zero French door refrigerator/freezer is one of the latest in Sub Zero’s renowned line of built-in refrigeration. The two 457mm refrigerator doors allow for more open-door access, a benefit for small kitchens, or where space is an issue. Dual refrigeration, water filtration and air purification (plus advanced microprocessor controls and quality, magnetic door seals) form a food preservation system engineered, built and tested to perform like no other. Available in stainless steel, the flush inset design installation allows the unit to sit flush with surrounding cabinetry, while optional stainless steel panels are available to create a freestanding look.